I live in Cradley Heath, which is in the Black Country where we have more canals than in Venice. Near to my home is the Dudley No 2 canal which has the prettiest stretch of canal in the region. I first became interested in narrowboat decoration when I moved to this area and developed a passion for the canals. One day I saw a “Roses and Castles” painting course advertised and thought I’d have a go. Which led to several more courses and many hours of practice with the “Waterways Craft Guild” and the creation of my company “Canal Art by Julie”. I qualified with the Waterways Craft Guild as a “Senior Journeyman in Decorative Art” and decorate boats and items of canal ware with roses, castles, scrolls, stars and sign-writing as well as teaching canal art as a college subject and I also go into schools and have students in groups or individuals in my workshop. 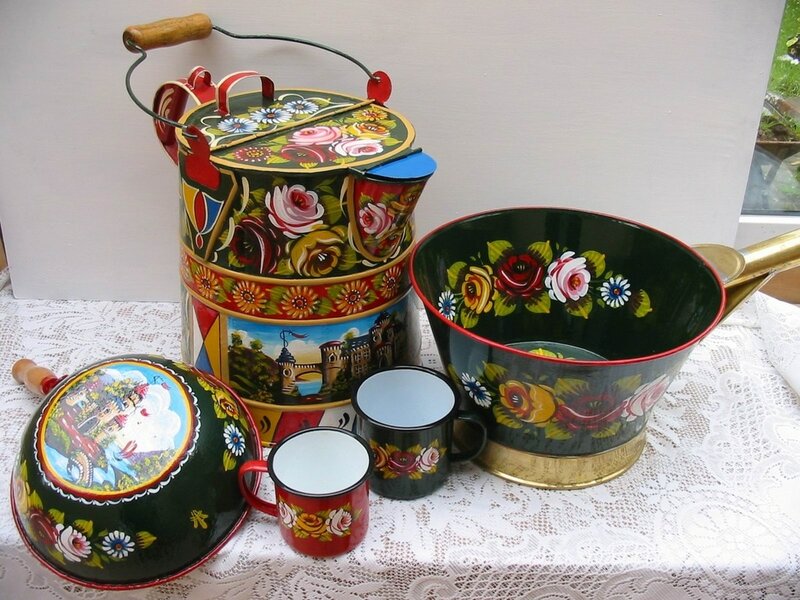 My main occupation is decorating boats and items of canal ware and teaching how to paint traditional Roses & Castles. I teach groups and individuals in my workshop and I can organise a course specifically to suit your needs. 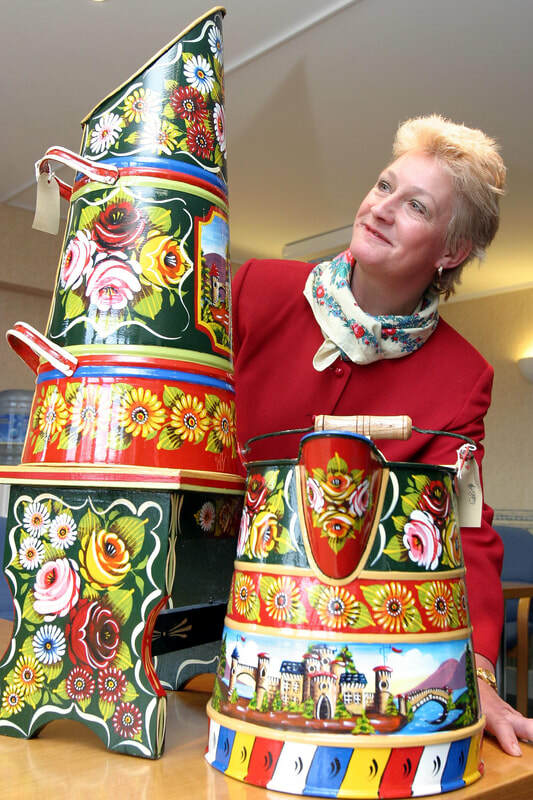 I also enjoy giving talks on canal history and canal art to societies and social groups. 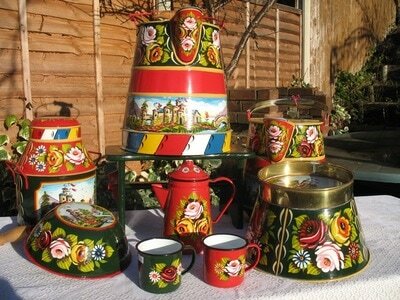 I also teach at the Black Country Museum, teaching, canal art and Rag Rug making. I am a member of the Roving Canal Traders Association. I trade with the RCTA at floating markets set up by them and at festivals selling my painted ware and canalia from my boat roof. I support the RCTA by serving on the committee. I am responsible for public relations and advertising and promoting the Association. Many traders live on their boats as constant cruisers and their boat is their main home. 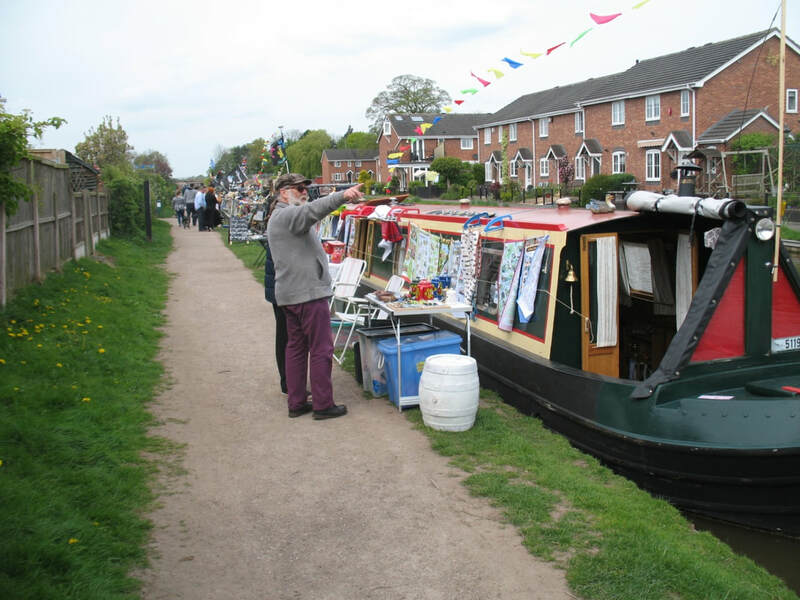 They set their boats up as shops and make the canal a more interesting and exciting place for other boaters and members of the public. 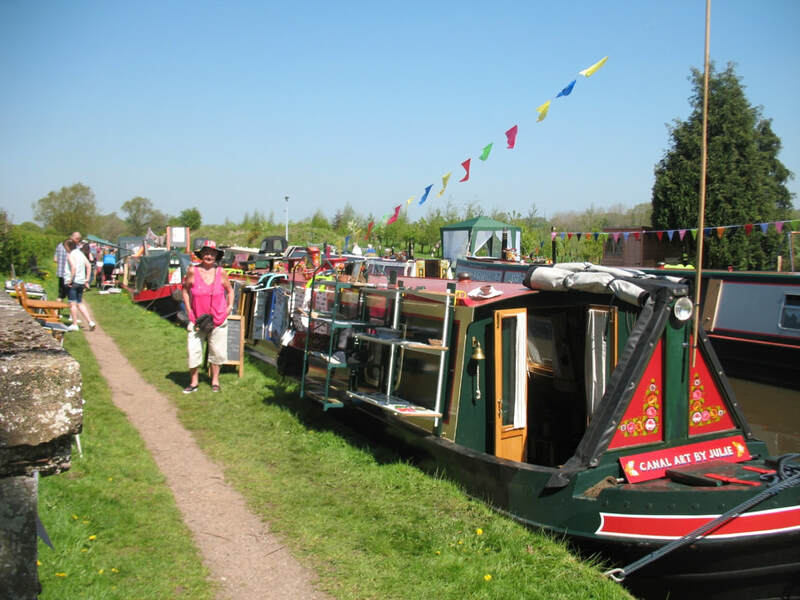 The RCTA traders are modern day canal businesses which make good use of and a living from being on the canal system. I am a member of CaRT's Heritage Working Boat project. You can often catch me helping to crew old working boats as they travel between festivals. I have a 57’ traditional style narrow boat moored close to my home , which we have built up from a sail-away. Thank you for visiting my website and taking interest in me.